Many of the free programs out there install adware and other malicious programs along with them without your knowledge. One has to be attentive while installing free programs to avoid accidentally installing adware. Not all adware programs are easily discoverable and uninstallable. You might see advertisements and other promotions on your PC and might not be able to figure out the adware responsible for this activity as many adware neither appear in Control Panel nor in Start menu. Some adware are responsible for pop-up ads, text links, in-text ads, banners and other type of advertisements. It’s a good idea to occasionally scan your PC to make sure that no adware is installed on your PC. 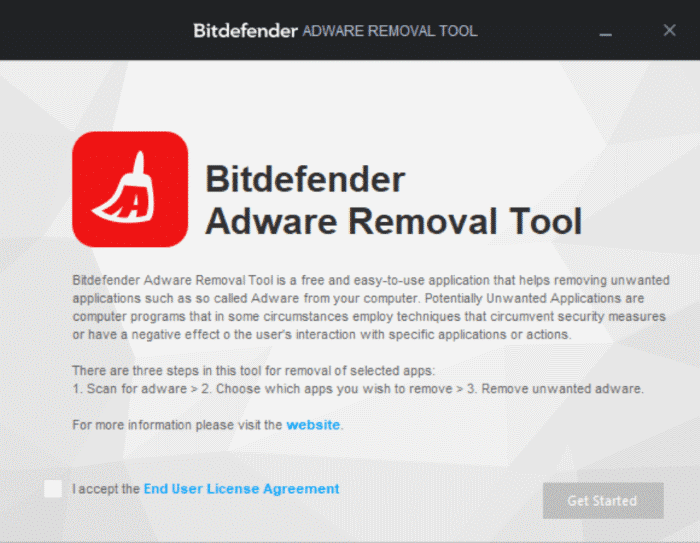 Bitdefender Adware Removal Tool is a free program for Windows operating system to identify and remove adware, browser add-ons, browser toolbars, and other malicious hijacker programs installed on your PC. The Adware Removal Tool works something like this. You download and run Adware Removal Tool on your PC. It scans for any adware and unwanted software on your PC and creates a list of unwanted and adware programs. You can select what you want to get rid of from your PC. Bitdefender Adware Removal Tool is compatible all recent versions of Windows operating system from Windows XP to Windows 10. Both 32-bit and 64-bit systems are supported. 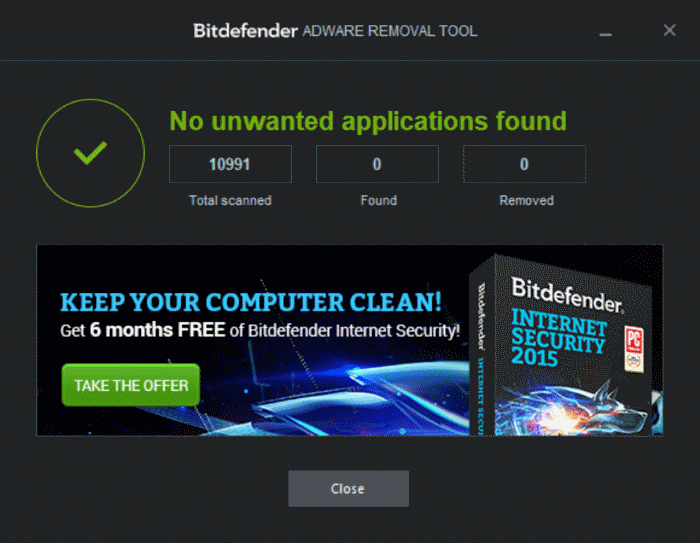 All-in-all, Bitdefender Adware Removal Tool is a fantastic piece of software to free your PC from unwanted junk software. The Adware Removal Tool is portable, meaning you don’t need to install it to run it. 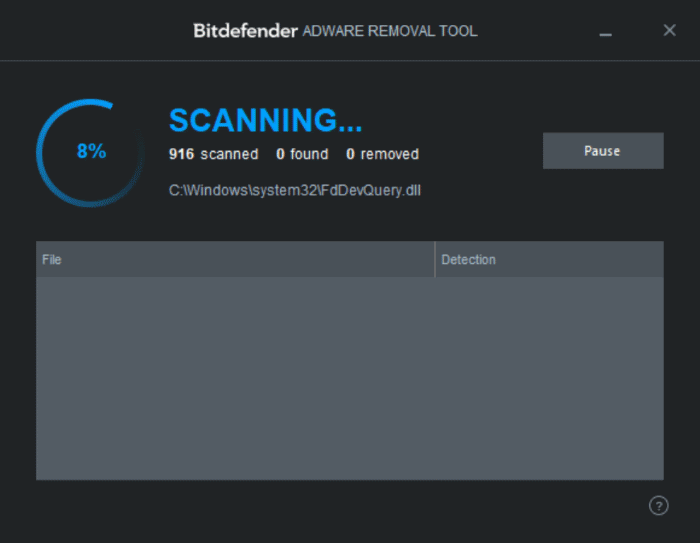 Visit the following page to download the latest and greatest version of Bitdefender Adware Removal Tool for Windows 10 and earlier versions. You might also want to download Bitdefender Antivirus free for Windows 10.